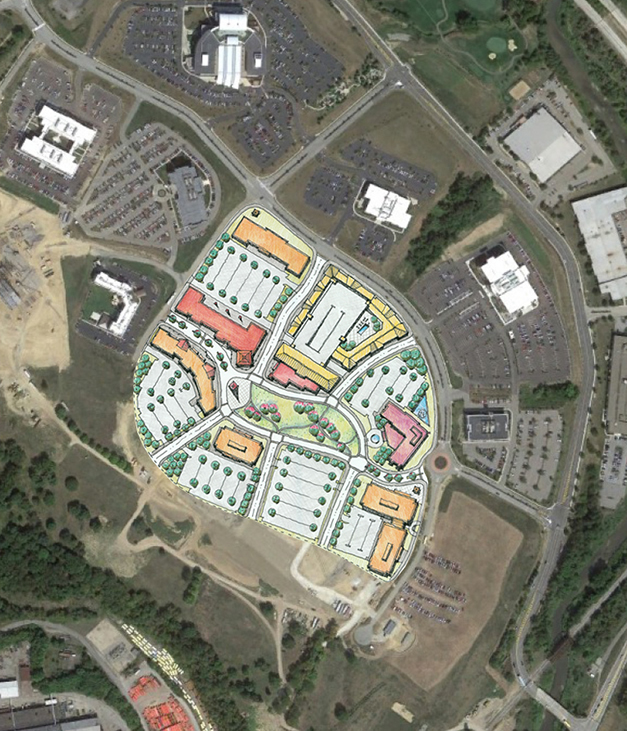 Southpointe Town Center is a new mixed-use community gathering place under construction in Canonsburg, Pennsylvania. Situated along the I-95 corridor, within the 800 acre Southpointe development of 3 million square feet of office, neighborhoods and a championship PGA golf course, the Town Center will be completed in 2014. It’s high visibility site along with the centralized location fill a need for shopping, dining and living within the current development. The master plan process considered a series of design iterations to support the client’s program requirements, existing zoning and the rolling topography. Conceptually, the Town Center will create a centralized destination by bike, car and foot, for the entire Southpointe development and the city of Canonsburg. 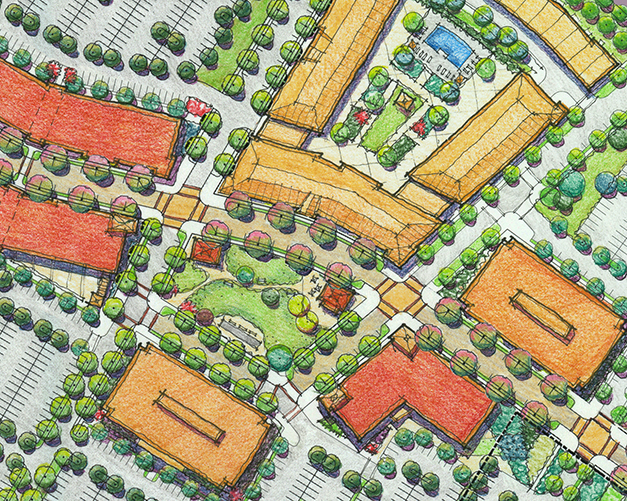 The town center master plan sites new residential dwellings across from the park, a large corporate headquarters at one end of the shopping street, and additional office space throughout. Development is planned for phased construction, beginning with the retail core and corporate headquarters. The pedestrian oriented street will feature specialty pavings, street trees, street furnishings and active uses along its length. 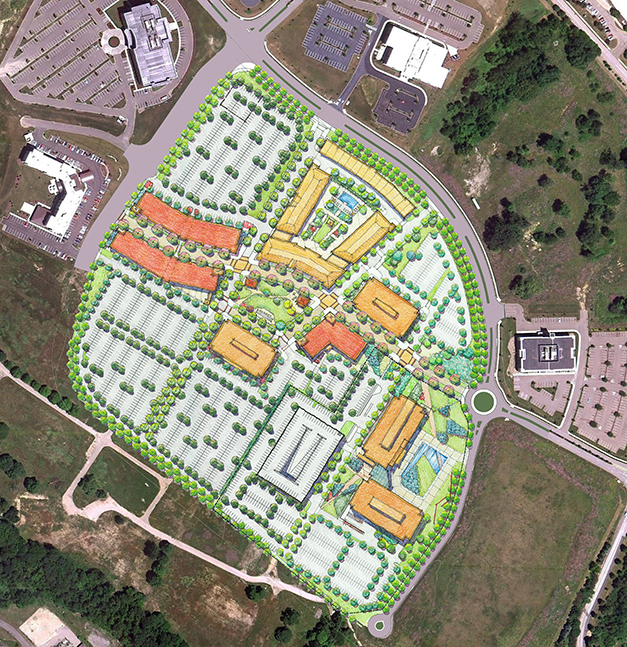 Southpointe Town Center master plan features a new Main Street and park amenity. An early concept creates a large public park surrounded by a mix of uses. The park is planned for programmed community events, retail pavilions and passive uses.